Residence One at Old Klang Road is a single block of 192 apartments connected to the adjoining Commerce One. It is a residential commercial setting that offers a contemporary and stylish living. Residence One and Commerce One are two components of an integrated development with close proximity to the Kuala Lumpur City Centre. The development incorporates hip new cafes, F&B specialty restaurants and is within a mere 10 minutes’ drive to the Mid Valley Megamall. 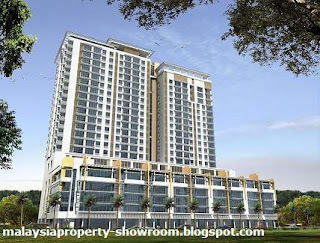 It is located at the bustling crossroads of Kuala Lumpur, Petaling Jaya and Subang Jaya, and is well connected to the many major highways of Kuala Lumpur such as the Federal Highway, New Pantai Expressway, Kesas Highway and Damansara - Puchong Expressway. Built-up Area : 500 sq.ft. - 1,700 sq.ft.